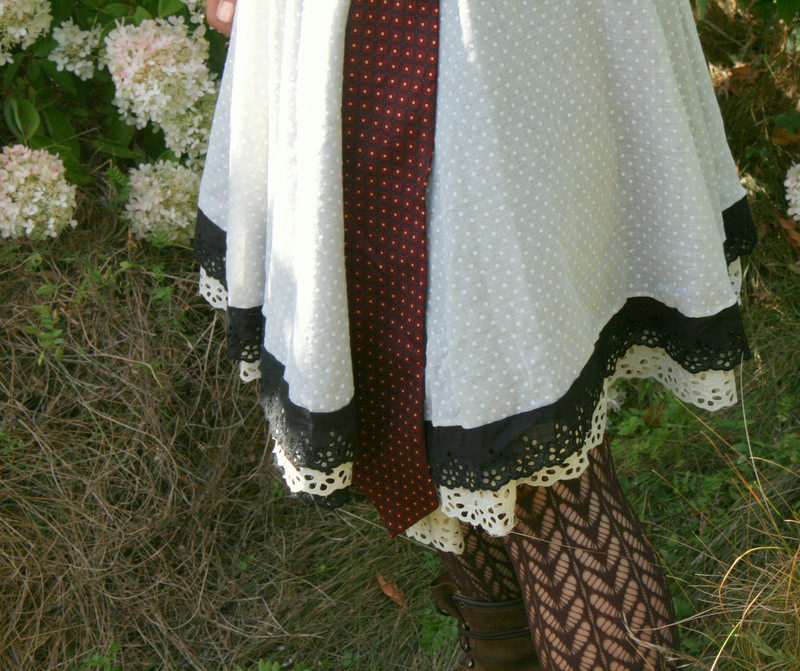 The layer closest to your skin is a black silk/poly blend and on top I useda really special vintage white on white polka dot fabric, both layers end in beautiful vintage cotton eyelet lace (black and white) which swirls around your legs as you walk. 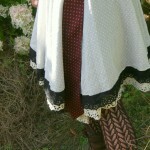 A vintage, red, neck tie pulls this skirt together around your waist and it fastens neatly with a vintage wooden button. The waistband measures 30″ and the hem falls about 25″ long, so this could easily fit a size 4-8. It is wonderful to dress up or down and twirls well when warn dancing! Please contact me if you are interested in a skirt similar to this one!